New York, January 24, 2013 – Fashion One LLC, the international channel for fashion, entertainment and lifestyle television, announces their first online portal TV deal with NuboTV, the cloud television (OTT) service in Lithuania. The channel will also be available on mobile and tablet to the subscribers in NuboTV's internet mobile portal starting February. The international television network caters to the country's online female audience with content covering the very latest in fashion, entertainment, and lifestyle news, profiles of A-list celebrities, luxury brands, holiday destinations, and red carpet events. Fashion One also delivers a strong lineup of original programming from reality shows, documentaries, beauty tips and street styling. Fashion One LLC's CEO, Ashley Jordan, said, "In a fast changing media landscape, viewers nowadays expected to consume quality content in various mediums and Fashion One LLCis already prepared for such a change with full multi-screen rights on all of our programmes. These new multi-platform offerings signify Fashion One LLC's commitment to continually raise the game by reaching out to more female viewers in the world and giving them an enhanced, comprehensive and engaging viewing experience with our new expanded suite of services." NuboTV CEO, Almantas Dulkys, said, "NuboTV gives its subscribers a unique opportunity of setting up personal content TV on the WEB. We are happy having female's loved Fashion One among these selectable channels. Among other things we are happy being first to broadcast Fashion one on the WEB and thus contribute to the channel popularity and desirability, on the other hand we believe that our customers will be pleased to watch Fashion one online. Already in February our customers will be able to watch Fashion One the mobile and tablet devices." 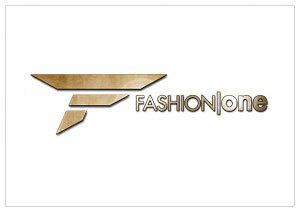 The channel will debut with two original programmes, Fashion One Correspondence Search: London and Front Row Season 2. Fashion One Correspondence Search: London is a reality series that seeks to find the television network's Fashion Correspondent in London, one of the fashion capitals in the world. International fashion personalities in Front Row will critique the season's best designer catwalks and giving you an insight into how to stay fashionable with looks straight from the runway. Viewers will also be able to enjoy an on-going documentary series Eco Fashion and lifestyle series Yoga, Health and Well-being. NuboTV have more than 100,000 registered users on the platform. Users can subscribe by paying 3€ to select Fashion One LLC and other 9 channels, or paying 6€ to select full package of channels. NuboTV is the first web television in Lithuania, providing a wide range of most popular channels and unique sport content in Lithuania: Dutch, Argentinean, Russian football Premium leagues Etc.